In 1948 the British government carried out an ambitious shake-up of post war society, establishing the foundations of a welfare state. 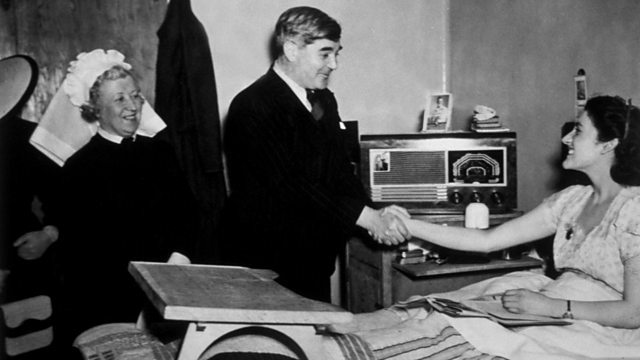 A cornerstone of this new vision was the creation of the National Health Service, the NHS, providing free universal health care for everyone in the UK. Mike Lanchin has been hearing the memories of Olive Belfield, a former nurse and health visitor, and of Dr John Marks, one of the first doctors to qualify to work in the new NHS.